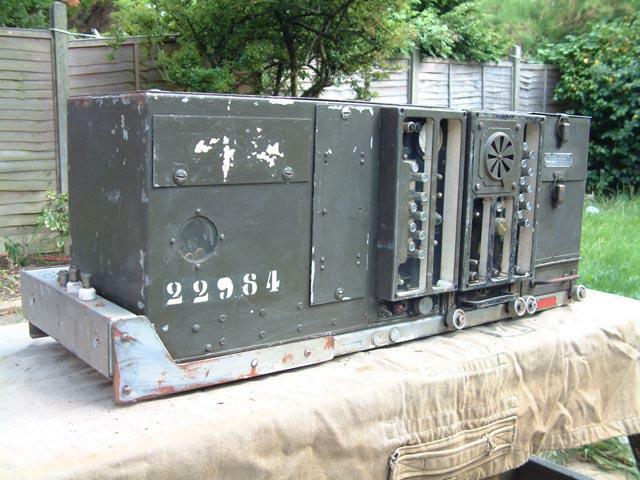 The SCR-694 radio station as used in many W.W.II US Armoured Fighting Vehicles, such as M3, M26, M5 and the famous M4 Sherman Tank. 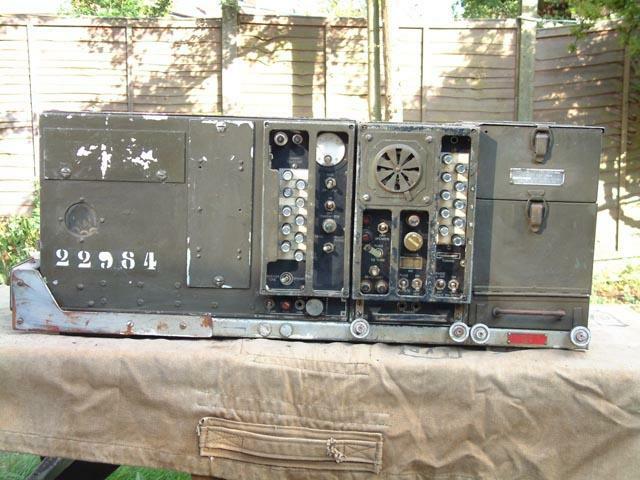 The radio station operates from 12 Volt vehicle battery supply and includes the BC-603-D Radio Receiver 1942 dated, BC-604-D Radio Transmitter 1945 dated, CH-264 Spares Parts Box and the FT-237-C Vehicle Mount 1942 dated. BC-603-D Radio Receiver 20-28MHz, FM, IF 2.65MHz, continuous tuning and 10 presets channels, has squelch facility with a built-in loud-speaker, uses 10 tubes. BC-604-D Radio Transmitter 20-28MHz, FM, 20 Watts output, 10 crystal channels, uses 8 tubes. The radio is available in good condition but untested and includes some accessories, such as spare tubes and crystals.